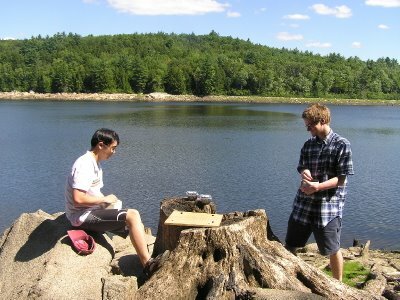 The Upper Valley Go Club (UVGC| http://www.feustel.us/GO/index.html) is a Chapter of the American Go Association (AGA| http://www.usgo.org/usa/ChapClub.asp?state=NH#listing) based out of the Upper Valley in New Hampshire and Vermont. 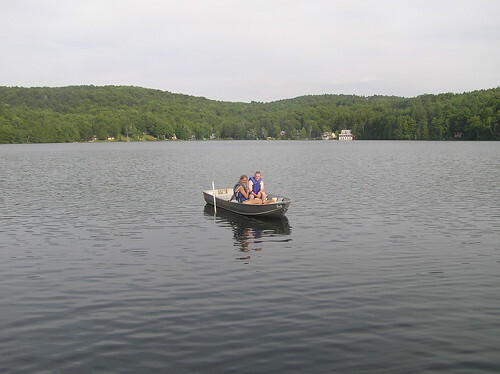 Life on the Connecticut River is just better with GO. Lessons for beginners are available in English and Dutch. The go club meets at the Courtyard Cafe in the Hopkins Center, Hanover, NH, every WEDNESDAY from 2 P.M. until players leave, typically before 4 P.M. 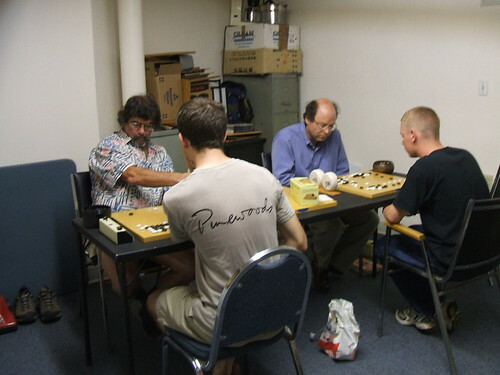 If you are a member of the Dartmouth community or the Upper Valley community and are interested in learning how to play go or meeting other go players, please contact us at mailto:uppervalleygoclub@yahoogroups.com or call (603) 298 5716. Please also contact us if you are just a go player visiting the area. If you wish to be on the e-mail list, join Yahoo Groups www.yahoogroups.com? and ask to join UpperValleyGoClub giving information on your interest. 2015/12/10 Play day changed from Monday to Wednesday. The Upper Valley Go Club meets on Wednesday for friendly games. 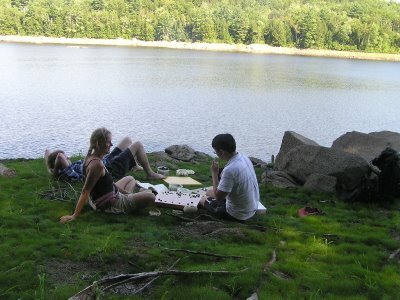 The Upper Valley Go Club plays go outdoors in the summer. 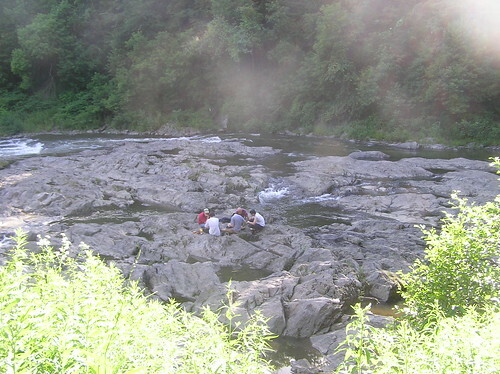 We are incessantly looking for more scenic and adventurous places to play go. Check out some of the pictures below. a) The UVGC plays in real life, and rather actively on KGS and DGS. 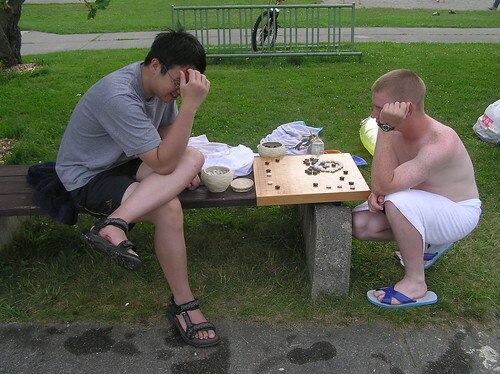 In general, avoid playing go on yahoo. 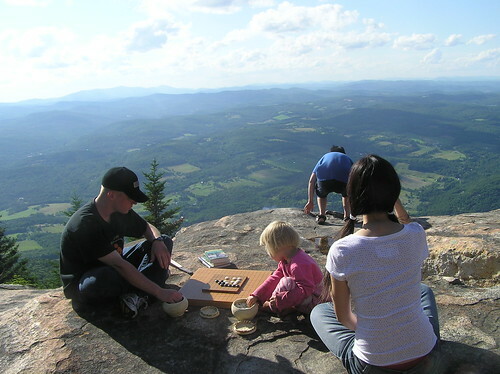 If you REGISTER A NEW ACCOUNT, please notify the club via e-mail or message kagetaka/lanke on kgs so that you get access to our private UPPER VALLEY GO CLUB room on KGS. The room can be found in: Rooms ---> Room List ---> Clubs ---> Upper Valley Go Club Then click "Join". Access will be available only after you notify us of your new id. These following resources are good if you are just starting out. They cover the rules and some basic strategies. The Interactive Way to Go: http://playgo.to/interactive/index.html This is an interactive beginners lesson online. Available in multiple languages. How to Play Go: http://yeefan.sg/weiqi/howtoplaygo/ This is a 10 lesson beginners introduction to go in English available in .pdf format. The files can be used by anyone for non-commercial purposes at no cost. 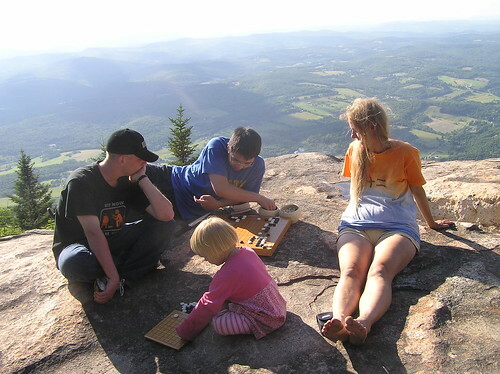 Sensei's Library: http://senseis.xmp.net/ This is a wiki on go and the largest resource for English-speaking go players online. There is a lot of information on the game here, and you are allowed to edit the pages if you have any questions or things to add to the ever-growing accumulation of go knowledge that exists on the internet. On the front page of Sensei's, there are useful links for beginners. These are available if you show up to club and the study sessions. Beginners are all started on the 10 Lesson beginner syllabus ( http://yeefan.sg/weiqi/howtoplaygo/). Players done with the beginner syllabus can move on to the intermediate and advanced syllabus. If any of the current non-beginner members would like a refresher lesson out of the beginner or intermediate lesson plan, speak to a senior member. 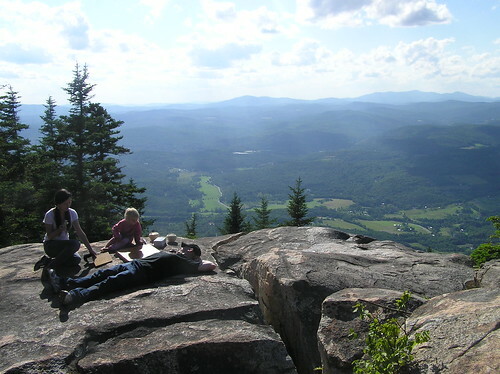 Since the UPPER VALLEY GO CLUB is a chapter of the AGA, all our members are eligible for AGA (American Go Association http://www.usgo.org/). Full membership is $60/annum and there is a youth membership at $10/anum available to those under the age of 22. If you are interested in taking part in AGA tournaments and getting an American rating, AGA membership is compulsory. This is advised for the stronger players in our club, who feel you are in the 10k and better range, but everyone should feel free to join. 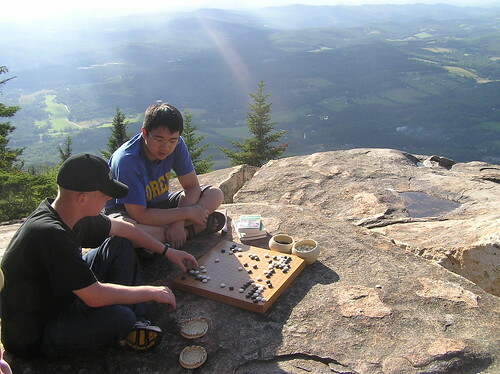 If nothing else, promote the great game of go/baduk/weiqi in the US!